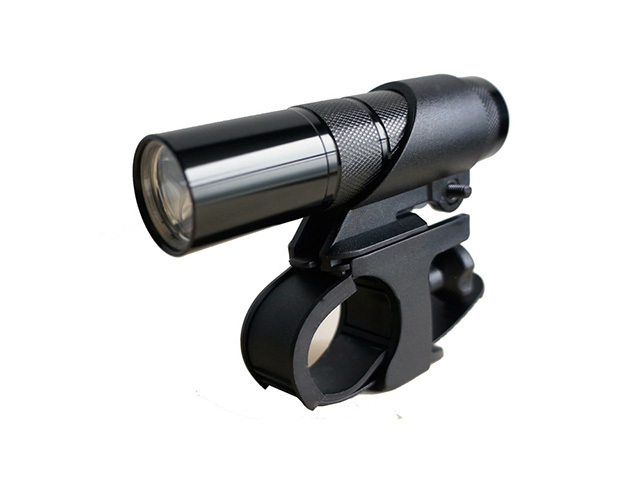 Jan 6, 2015, Taipei, Taiwan – F Ztech Inc. is pleased to announce the brand new LED Bike Torch FZL-1210 with handy bracket. The powerful 1W Nichia LED light emits 70 lumens with high intensity beaming spot, offering cost-effective replacement for bike lighting. It is also suitable for use in mountain climbing, hiking, camping, and home maintenance. 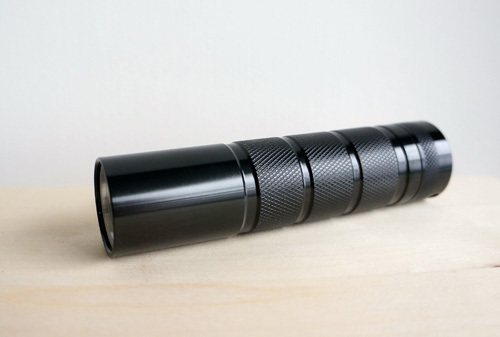 The LED torch which is made with durable Aerospace-grade aluminum alloy with black anodizing, making it premium quality. It features lightweight, portable and durable; moreover, it is cost-effective and worth-well. Measuring 108 mm long and with a diameter of 27 mm, it runs on 3 pieces of AAA battery consuming up to 1Watts power. The handy bracket of FZL-1210 is designed to fit for a wide range of bikes (handle bar size 26-33mm in diameter), allowing the user to easily adjust the length of the bracket strip to fit bike size. Thus it removes the size limitation when mounting the torch. Moreover, the adjustable bracket can be easily rotated to achieve the desired angle for lighting, and the user can simply remove the torch from bracket for any other purposes. The FZL-1210 comes with three functions – power on, power off, and flash. The LED lifespan is more than 35000 hours. With an estimated run time of up to 12 hours when using fresh batteries, it is able to produce long distance illumination of up to 50m. The torch is with weatherproof in 3rd position. Operating temperature for LED is minus 20 C to 50 C.
The LED torch uses lower power consumption to produce bright white light. Emitting no heat, UV or IR light radiation, the FZL-1210 LED torch is extraordinary in providing glare free and energy-saving lights compared to traditional torches. The economic FZL-1210 LED torch is now available in Taiwan, Singapore and Thailand. 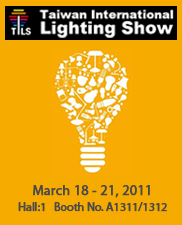 FZLED welcome enquiries from distributors, wholesalers, and retailers in order to bring it worldwide.